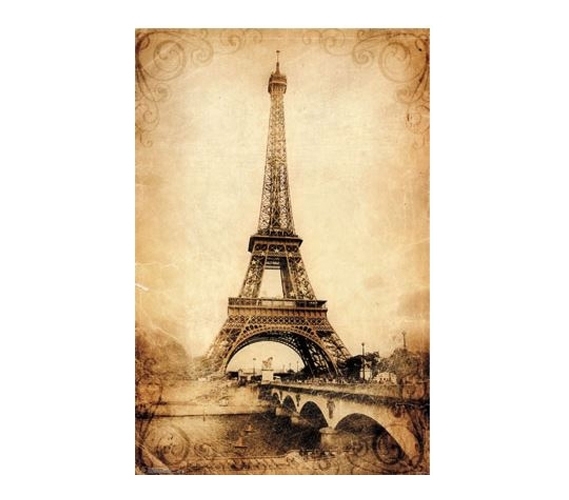 You can really bring an old-world feel to your dorm decor if you include this Eiffel Tower - Rustic Poster as part of your supplies for college. Cool items for dorms and dorm room wall decorations are must-haves for college, and perhaps you're wondering why you'd want to add an old-world feel to your dorm room. Well, one simple answer is that you can definitely create a unique-feeling living space with such a college poster, and that will mean that your dorm room decor will have done a successful job of helping to define your living space. That's one of the jobs of the best college decorations, so be sure that it's not overlooked by your dorm posters and other college decorations.